Homeowners find it hard to find a reliable and affordable homeowners’ insurance provider in Cape Coral. On average homeowners in Coral FL have to part with $600 annually for the lowly priced homes to about $7000 for the higher priced homes. The average price is around $2100, which is twice the national average of about $1037. The rates seem to go down as you move from the coastline. This is due to the higher risk of property damage from floods caused by sea hurricanes. The rates will also differ according to the age of the home, the condition of the maintenance and the location of the building. These factors may raise or lower your insurance premium. Below is a compilation of some of the best homeowners’ insurance companies in Cape Coral Florida. The criteria for the selection of the companies depend on such factors as the competitive rates, wider coverage, and many options to the homeowner. Edison Insurance Company is owned by Boca Raton-based Florida Peninsula Insurance Company. The company bought Edison in January of 2010. All the Edison policies were transferred to Peninsula Insurance Company. It sat dormant for a while the re-launched in 2004 with better rates and new products for the homeowners. Edison Insurance Company offers more flexible, customer oriented policies targeted at the house agents, condominium unit owners, and homeowners in Cape Coral Florida. The company is known for the ease of procuring a policy and good rates. Edison Insurance Company has $20 million in the capital and has recently received a Financial Stability Rating of A-Exceptional from Demotech. The insurer maintains a comprehensive reinsurance package that is supported by renowned re-insurers all of whom are A rated or better. The product is meant for owners of bungalows to a mansion and all the other types of homes in between except for the condominiums. There are options for different geographic and individual needs. This product is specifically meant for condo owners and covers the units, fixtures, and fittings as well as the collectively owned common areas. Apart for Cape Coral, the insurer covers all the other cities in Florida. Edison Insurance Company offers little detail of any of their plans on the website. You need to contact an agent to have specific details of each of the products listed above. The privately owned UPC Insurance has been operational since 1999 with Florida offices in Tampa Florida. Its headquarters are in St. Petersburg. It started with a capital of $5 million but grew the capital to more than $245 million in equity and more than $50 million of total in-force premiums. UPC is listed at NASDAQ (UIHC) as a public company. Over the period that it has been in operation, UPC has paid over $1 billion in claims without lowering its profitability. It has an excellent customer service, and it is very quick to honoring claims. The company has earned a financial rating of A Exceptional from Demotech Inc meaning that it has the ability to settle the claims made by the clients. UPC Insurance Company plans to merge with American Coastal Insurance Company another leading homeowner’s insurance company across America to provide specialized services to the homeowners. Homeowners insurance cover that takes care of the dwelling, loss of use, personal property and liability coverage. The products are offered as per the state you are. Talk to your agent of visit the website to learn the specific details of each of the policies. Prepared Insurance Company is a privately owned insurance company that was incorporated in Florida in the year 2009. It started offering its services in December 2010. Its philosophy; “All homes can be fortified to achieve adequate building standards and insured in the private market,” sums up its dedication to meet all types of homeowners needs. With Cape Coral being susceptible to hurricanes and floods, it takes the front line in ensuring all homeowners do not lose their investment to poor weather. Demotec Inc assigned a financial stability rating of A exceptional to Prepared Insurance company in November 2015. The rating shows that the company has positive surplus regarding the policyholders and has the financial muscle to settle claims. The details of the products are available at the website. The company is straightforward, offers excellent customer service and flexible plans for their policies. These qualities make them a leading home insurance provider in Cape Coral Florida. Head to the ‘Contact Us’ page to contact the company. I hope the above makes it easy to select a competent insurance company in Cape Coral. All the Best. 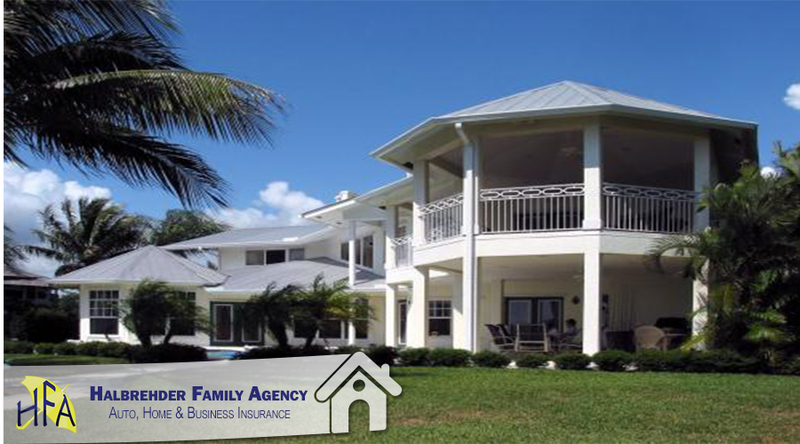 See how our agency in cape coral rates the 3 best Florida homeowners' insurance companies. Home insurance isn't always about the best price.